Baja California Sur destinations are growing in popularity as travelers look for places to spend time in the sun. And with good reason! This is a place where deserts meet the sky as the ocean kisses the night on a full moon. If you’ve never been, I’m here to tell you that you are missing out! I was lucky enough to visit for the first time in 2017 before we moved to Tennessee, and I completely fell in love with the area! 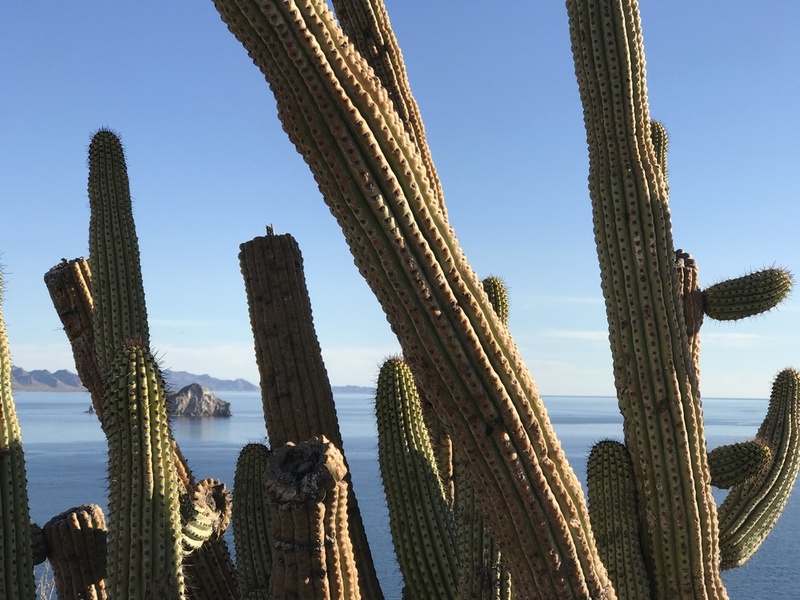 The Pacific Ocean and Sea of Cortez meet at the tip of the Baja California peninsula, creating worlds that are both vastly different and yet very similar to each other. On the Pacific side, the waves are large and powerful with stronger winds. As you make your way further north along the Pacific side of the peninsula, the climate and beaches are very different than the Sea of Cortez side. In Pescadero and Todos Santos you’ll find dark, fine sand with deep blue water but on the other side, you’ll find coarser sand beaches with lighter blue hues. 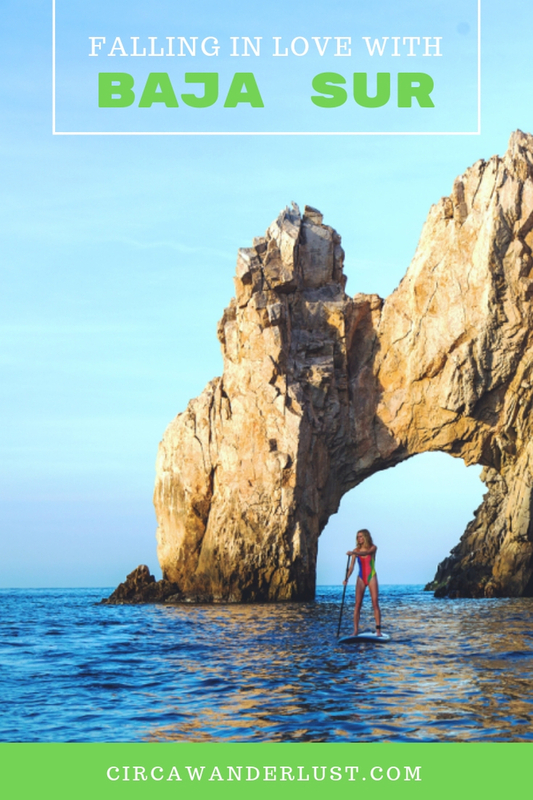 Los Cabos has become well known as more travelers make their way down the peninsula for their family vacations, honeymoons, and getaways. If you’re planning on visiting, here is some information about each area that will give you a better idea of how to plan your visit! With beautiful mountains that meet the desert and a desert that meets the ocean, Baja California Sur destinations are more than a spring break parties and body shots. The Sierra de la Laguna Mountain range lies at the peninsula’s southern end. There you will find a dry forest that transitions to a pine-oak forest, unlike anything you’ve ever seen. But the natural wonder of Baja California doesn’t end there. The Sea of Cortez is known as the “Aquarium of the World,” a nickname given to the area by the famous Jacques Cousteau. Hundreds of fish and mammals have made their homes in the Sea of Cortez, staying in the shallow waters or making their way down to the San Andreas Fault’s cool bottom. Year after year, whale watchers and SCUBA divers spend time among whales, sea lions, hundreds of varieties of fish, rays, and sea turtles. PRO TIP: January through March, you will be able to see Grey whales in the area making their yearly migration from Alaska. The whales go to the Sea of Cortez to give birth to their young in the warm shallow waters. Los Cabos is made up of four main areas: Cabo San Lucas, San José del Cabo, Todos Santos, and the East Cape. 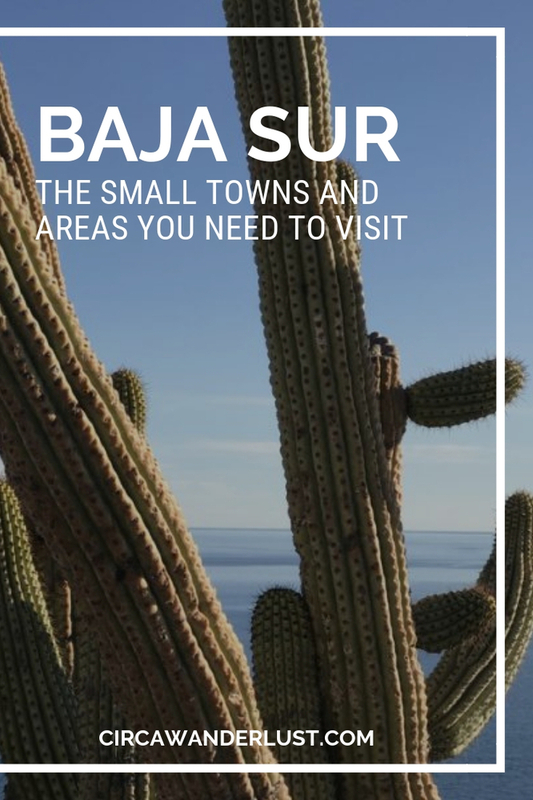 The Baja California Sur destinations, towns, and highways form a loop, making it easy to get from one to another. The tourist-friendly town known as Cabo is on the tip of the Baja California peninsula. 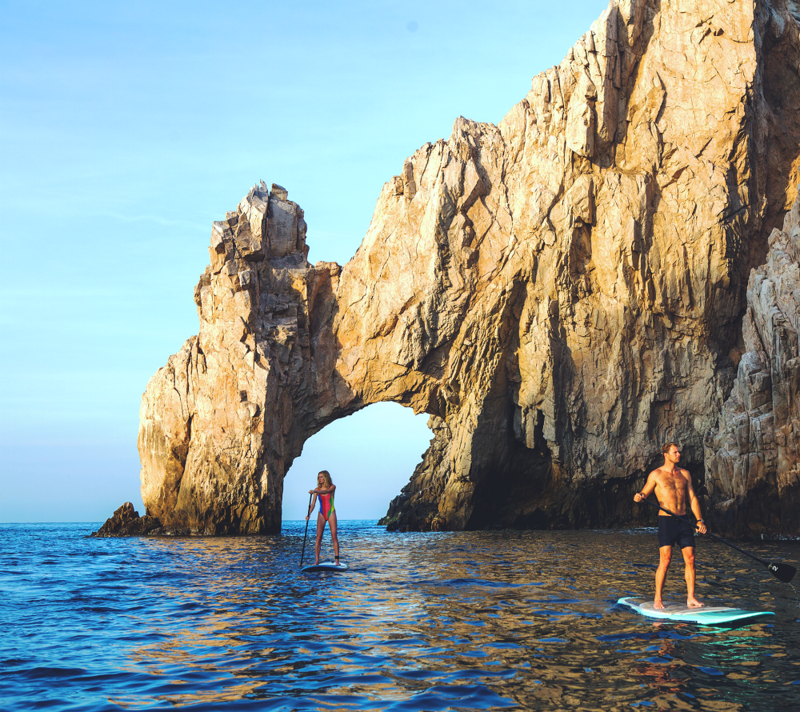 With something for everyone, Cabo San Lucas is a popular destination for American’s looking to get a flavor of Mexican beaches and tropical rhythms. Land’s End, where the Sea of Cortez and the Pacific Ocean meet, is where you can find the famous Cabo arch among other breathtaking rock formations. With plenty of bars and restaurants, the beach town is alive both day and night. If you are looking to experience a traditional Mexican town, San José del Cabo is where you want to go. The town is filled with brightly colored buildings that are postcard perfect as cobblestone streets lead you to the main town square. The town has become a center for culture and art as galleries in the downtown arts district have made a name for themselves. San José del Cabo also a gorgeous beach where you can explore the local estuary that is home to a number of bird species on horseback. The corridor is the 40km highway connecting Cabo San Lucas with San José del Cabo. Along this 20 minute ride, you’re going to find a number of luxury oceanfront homes, hotels, beautiful golf courses, and of course stunning views! Keep your camera handy and make a stop at the Costa Azul view-point for a nice shortstop with a great view! Todos Santos is located on the Pacific side of the peninsula and is home to the world-famous California Hotel. This charming town is where surfers and artists come to enjoy the excellent culture and surf among great restaurants, a nice ocean breeze, and Pacific Ocean views. 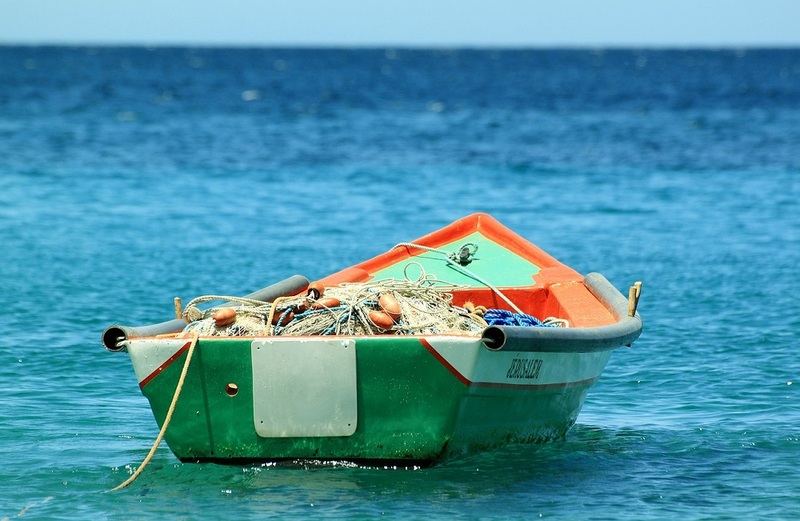 East Cape is often referred to as “the old Cabo” due to its picturesque fishing towns (like Buena Vista and Los Barriles) and pristine beaches. The East Cape begins just east of San Jose and extends about 100 miles along the Sea of Cortez coast. Not too far from San Jose is the Cabo Pulmo National Marine Park. This eight-fingered coral reef is popular among SCUBA enthusiasts and snorkelers. As a fishing and surfing destination, East Cape also attracts kite surfers, campers, and those looking to see turtles nesting on the beach. If you are looking to get away from it all, East Cape is where you want to be when visiting Los Cabos! 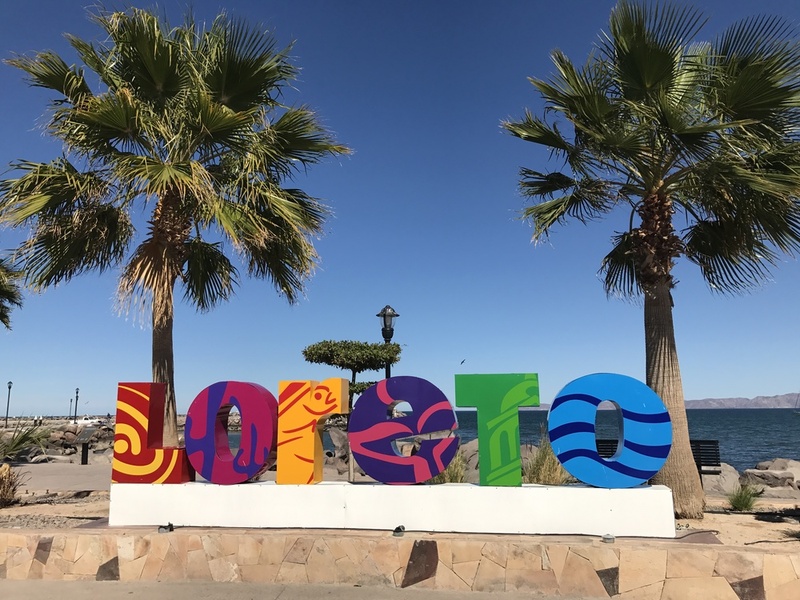 La Paz is the capital of the Baja California Sur state, known for its beautiful beaches and warm, welcoming residents. This small, authentic Mexican town has been rated as one of the safest places to visit in the country. It maintains that small town feel that that welcomes visitors from all over the world. La Paz has a lot to offer those who visit. From whale watching excursions to visiting the Espiritu Santo Island, you’re sure to find something to keep you busy. Make sure you take time to walk the colorful boardwalk! The beaches in La Paz and the surrounding area are some of the most beautiful in all of Baja Sur. The waist-deep water and powdery white sand create that shade of turquoise that is postcard picture perfect. If you are looking for an authentic-Mexico feel that takes you back in time but still enjoy the modern amenities of a modern coastal city, this is the place for you! For those looking to have a bit of adventure, there are plenty of opportunities for hiking and biking as well as a number of nature tours to pick from. 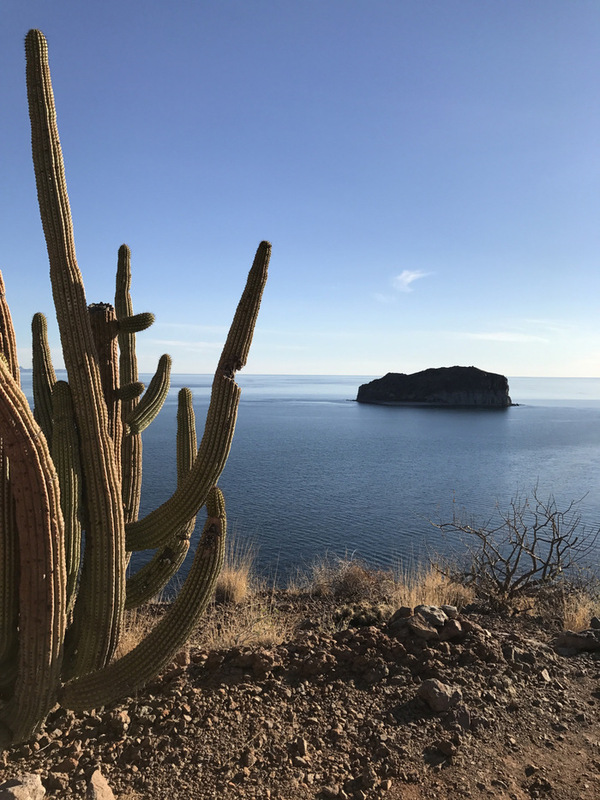 If you have the opportunity to visit the Islands of Loreto, do so! The islands are home to Mexico’s largest marine preserve where dolphins, whales, sea lions, manta rays, and other marine animals play in the calm blue waters. In Loreto, you’ll also find historic buildings like the Mission de Loreto. Built in 1697, the mission style church is one of the oldest in the country! 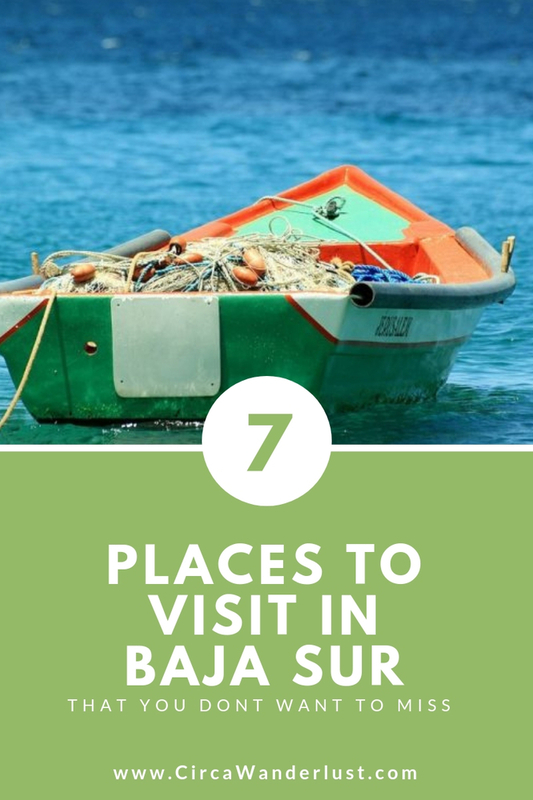 When it comes to Baja California Sur destinations, there is something for everyone! From surfers looking to catch a killer wave to families wanting to spend time together, Baja Sur is the place to be. Have you visited Los Cabos? Where did you spend your vacation? Let us know in the comments!